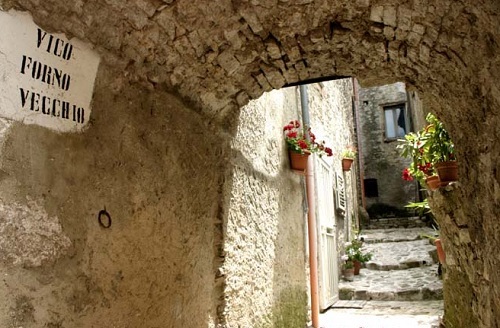 Jelsi is a predominantly agricultural center of approximately 2000 inhabitants located to the right of the Campanelle River, a tributary of the Tappino River, 23 km from Campobasso. It borders with Campodipietra, Cercemaggiore, Gildone, Pietracatella, Riccia, Toro. In the vicinity rose the ancient Samnite town of Romulea, as shown by archeological excavations of tombs and the presence of an Italic temple dating back to the 4th century BC. 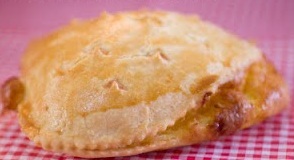 Called Gittia under the Lombards (7th century), the name had become Gelzi or Gilizza in the 17th century. The first feudal lord was Bertrando from Belmonte in 1269, later on the domain passed to the Carafa family. Its origin is very old and according to scholars this is where Bulgarian populations settled during the Lombard period (VIII century). The name Jelsi, scholars say, is a derivative of Tybicza, a town situated at the junction of the Tibisco and Danube rivers. The more modern part of Jelsi winds along R. n.17 and, following the crossroads, penetrates into the countryside. The oldest inhabited area, almost elliptical in shape, is situated over a precipice called the Ripo, on the Carapelle River. Stretches of the antique fortified walls are still visible. Also visible are some gates, small narrow streets and alleys with steps. 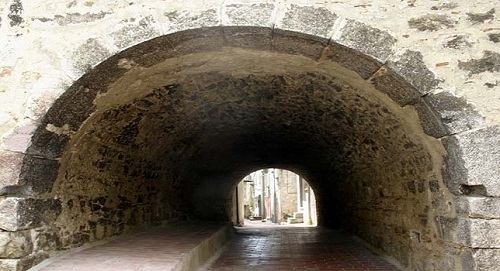 The latter run into a large square where you can find St. Andrew the Apostle’s Church dating back to the XIth century. 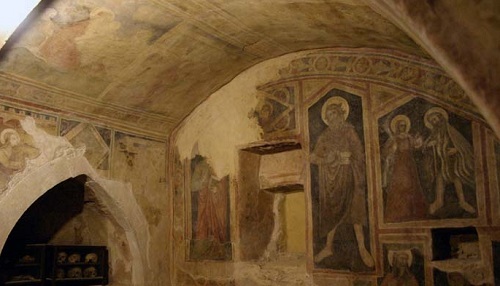 ...and the Chapel of the S.S. Annunziata, it’s crypt completely covered with frescoes depicting scenes from the life of Christ dating back to 1300 A.D. 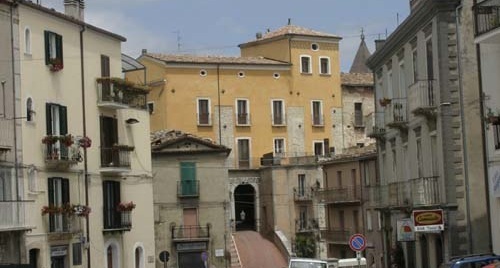 The Valiante Palace dominates the highest point along the main street. Dedicated to the Andrea Valiante (1761-1829), a brave soldier who opposed the Bourbon power and an active member of the “Carboneria” movement. 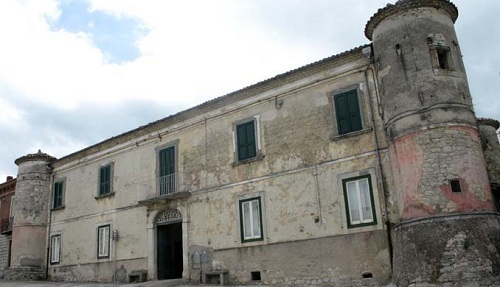 This Palace it is a typical example of a fortified residency of the XVIIIth century. 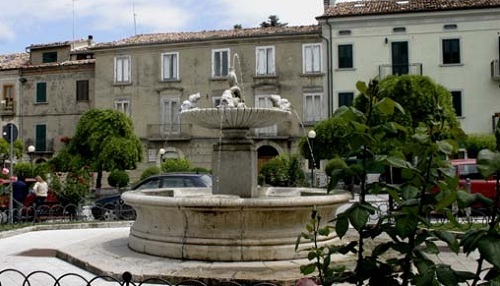 ... the impressive “Fountain of the Dolphins”, and the main street of the village. 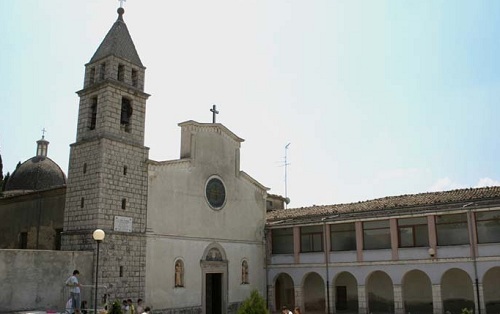 A little more than a kilometer from the village is the Shrine dedicated to the “Madonna delle Grazie” with the annexed Convent of the Franciscan Grey Friars. Here is an oasis of peaceful tranquility and spirituality in a landscape rich with green spaces and cool natural water springs. Through a closed system of roads, the traveler will be rewarded with long walks admiring charming breathtaking views of thick valleys, small artificial lakes abounding with fish, and rural hamlets perfectly integrated with their surroundings. The population of Jelsi reached its peak in the 1950’s, mainly agricultural (200 farms for a population of about 2000 inhabitants) and has been greatly influenced by migratory waves especially towards Canada, the USA, Australia and other European countries, renewing traditions and customs of their native land wherever large Jelsi colonies settled. Origins : Deeply bound to agriculture, Jelsi natives everywhere celebrate the annual Wheat festival (La Sagra) that is held every year on July 26th honouring St. Anne who, according to tradition, saved Jelsi from total destruction during the earthquake of July 26th 1805 and also for giving thanks for the harvest. The “Sagra” consist of a parade of “traglie” (big carts adorned exclusively with ears of wheat) representing scenes of rural life, through the streets of the village also decorated with festoons and wreaths of wheatears. In the olden days, the carts were drawn by oxen and had skids-like sleds instead of wheels (carts on skids like sleds pulled the traditional way are called "traglie", if the cart has wheels and is pulled by a tractor is called "a carro"). Preparation starts one month before the days of the festival. The best wheat for the different decorations is selected and worked according to elaborate practices which are handed down from generation to generation. The parade goes through the village of Jelsi and stops at the square of Saint Anna where the wheat is blessed and threshed. 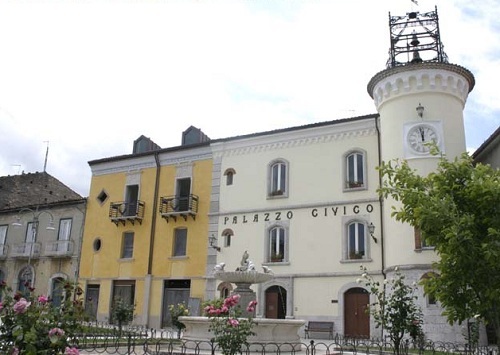 Local products are olive oil, known for its low acidity, wines of the Macchione and S.Martino, delicatessen and cheeses. A typical local winter dish is the “mpanatella”, a tasty mixture of vegetables seasoned with chopped pancetta and corn pizza cooked under “u seste” (a metal pan covered with ashes and lighted coals on the hearth and used like an oven). Among the characteristic cakes from the region are the “peccellati” at Easter and the “calzoni” on March 19 (St. Joseph's Day) made of puff pastry stuffed with mashed chickpeas and honey.